The numbers are alarming: One-third of all adults are obese and one-third of children are overweight or obese. They’re all at risk of developing weight-related diseases like diabetes, heart disease and even some cancers. Fan Yang, MD, at Healthville PLLC is dedicated to working one-on-one with each patient who struggles with obesity, supporting them with information and medication so they can reach a healthy weight. To learn more about help for obesity, call the office in Little Rock, Arkansas, or book an appointment online. Carrying excess weight places a lot of extra stress on your heart, bones, muscles, and joints. But that’s not the only way being overweight affects your health. Fat cells are biologically active, producing hormones and other substances that regulate your metabolism and affect organs throughout your body. When you’re overweight, you’re also four to five times more likely to develop knee osteoarthritis. The good news is that losing weight can prevent or delay the onset of these health problems. How does weight loss affect chronic disease? If you already have a chronic disease, losing weight is one of the most important ways to manage the problem. Even a moderate drop in weight, like 5-10% of your total weight, can help improve blood pressure and cholesterol levels. Dropping extra weight is especially beneficial for patients with Type 2 diabetes. There’s a direct relationship between losing weight and improving their blood sugar levels. Losing just 10-20 pounds can make a significant difference. How does medically supervised weight loss improve my success? You’ll get help with setting realistic calorie goals, creating a healthy meal plan, and finding ways to get more active at a safe pace. 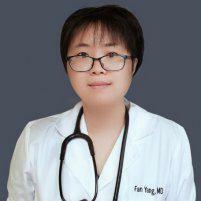 Today’s weight loss medications are safe when used under the direction of Dr. Yang. They’re also proven to be very effective at boosting your weight loss, helping patients lose 5-15% of their total weight, depending on the type of medication. Prescription weight loss medications work by suppressing your appetite, making you feel full longer, and by blocking fat absorption. For obese patients with diabetes and other chronic health conditions, it’s important to carefully monitor your health while you lose weight. Dr. Yang may perform a urine analysis or blood work at various times while you follow your weight-loss plan to be sure you’re healthy and to assess improvement in biomarkers like blood sugar and cholesterol. If you need emotional support, motivation, and medical help while you lose weight, call Healthville PLLC or book an appointment online.